You just invested in a quality pair of shoes. Now what? With constant exposure to moisture, dirt and heat, it’s not always easy keeping them in tip-top shape. Since worn-out shoes can bring down an outfit faster than you can swipe left, you need to step in. This guide will help you keep your new kicks spotless. With proper care, leather shoes can be worn for years, but keeping them clean is crucial. Use a horsehair brush (as needed) to remove dirt from the nooks and crannies. To make your shoes really shine, you’ll want to polish them. Apply a small amount of the paste with an applicator sponge, then use a buffering cloth to rub in the polish. Wipe away any excess and let it dry. Easy, right? If you wear them frequently, you should do this every two weeks or so. If you do opt for shoe polish, always make sure the color matches. Remember to brush off your shoes before applying any polish. Wet shoes can be stuffed with newspaper to absorb moisture—repeat as needed. Suede is effortlessly cool to wear but notoriously difficult to keep clean. Unless you plan on never getting them wet—accidental spills included—you’re going to need a waterproofing spray. We suggest a silicone-based one that will help keep the brushed texture soft. Suede doesn’t really need polishing like leather, but the occasional spot cleaning may be necessary. A dry soft-bristled toothbrush works wonders in gently removing dirt. Always, always, always make sure your protective spray is the right color. Let your shoes dry overnight so they fully absorb the spray. You can use a suede brush to re-fluff the leather after cleaning them. From the newest streetwear kicks to minimalist classics, sneakers need love, too. You’ll be glad to know that this material is the easiest of the bunch to keep looking fresh. If they are made with canvas, simply throw them in the wash. Yep, that’s it. If they are particularly dirty, you can spot treat them with a stain remover before putting them in the wash. Afterward, they should be good as (almost) new. Run the washer on cold and then air dry—you don’t want your sneakers shrinking. We recommend a mild detergent to help prevent against fading. These steps also work on most running shoes. Let’s be honest here. Shoes can also lose their shape over time or start to smell. You can prevent both problems with two simple tools. First, use a shoe horn when slipping your feet in and out of your shoes. This is more useful with leather shoes—canvas pairs are fine without. This prevents the backs from creasing and damaging the leather. And second, invest in a shoe tree. These maintain your shoes’ shape, absorb moisture and help deodorize all in one. They’re inexpensive, so it’s good to have a few on hand. Get unvarnished cedar shoe trees, otherwise, you’ll miss out on most of the benefits. Clean any debris out the shoes before using the shoe tree. Always wear socks with your shoes, canvas or leather, to prevent odor. 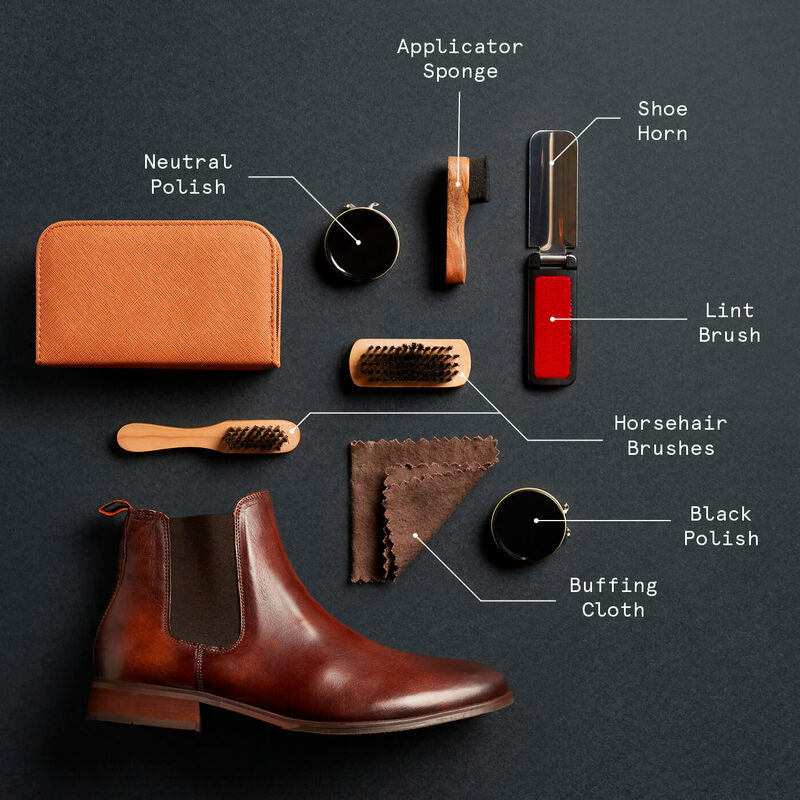 Now that you know how to get to cleaning your kicks, here’s a quick list of some supplies that you’ll need to keep your footwear in shape. 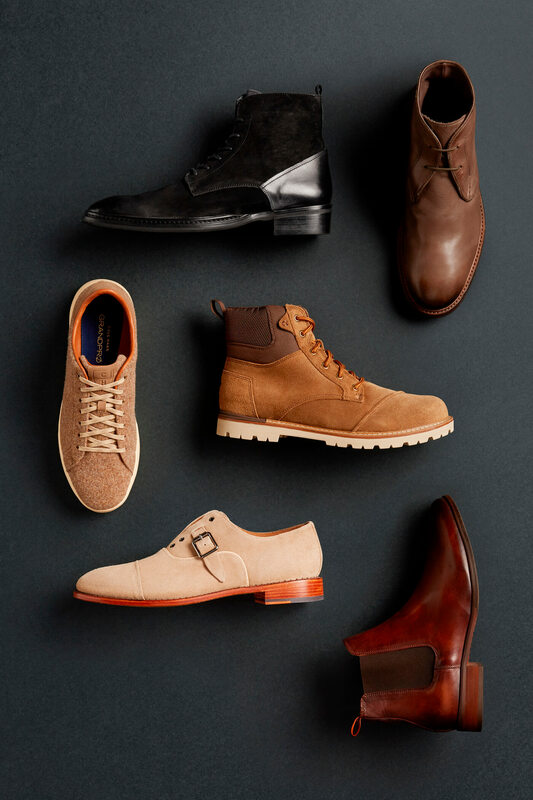 Now that you have this know-how in your arsenal, ask your Stylist to send footwear in your Fix.